Super Sunny Electric Fuel Pump, and Holley fuel pressure regulator. Super Sunny and Holley reg. There is a variety of low cost fuel pressure regulators on the market that in many ways appear much like the Holley regulator. These non branded (no-name) products are inferior in many ways, in our opinion. We have sold these products in the past and in recent years, found their quality and reliability to have diminished greatly. The problems included inconsistent fuel pressure, leakage of fuel, poor machining of the housing, and outright failure at a rate we found unacceptable. The main problem is that they fail to maintain a steady pressure. The quality control on these no-name regulators nearly non-existent. There are many sources on the market for these low cost products and we have tried many over the years, only to end up with more dissatisfied customers than we care to mention. The Holley and Quick Fuel regulators are fully tested before leaving the factory. There are video clips available on Holley and Quick Fuel's website showing the wet-flow testing procedure. This is not done on just a few regulators out of large batches. It is performed on each and every one of them. The price on the low cost non-branded regulators may be appealing, but quality and reliability are simply not there. Super Sunny products warrants its products to be free from defects in material and workmanship for a period of 90 days from date of purchase. This Limited Warranty specifically DOES NOT apply to products which have been (a) modified or altered in any way; (b) subjected to adverse conditions, such as misuse, neglect, accident, improper installation or adjustment, dirt or other contaminants, water, corrosion, or faulty repair; or (c) used in other than those applications recommended by Super Sunny. In the event of a defect in material or workmanship, Super Sunny's responsibility is strictly limited to repair or replace the defective fuel pump. There is no other obligation expressed or implied. Final warranty determination will be in the sole discretion of Super Sunny, which shall not be responsible for; (a) actual or alleged labor, transportation, or other incidental charges; or (b) actual or alleged consequential or other damages incurred by use of any product of Super Sunny. TO INITIATE THE WARRANTY PROCESS, the consumer must return the defective fuel pump to the place of purchase with a dated receipt. Warranty claims will be rejected if the date of purchase cannot be established by the consumer. Do not send fuel pumps directly to Super Sunny. Super Sunny assumes no responsibility for products sent directly to them. Holley Performance products warrants its new products to be free from defects in material and workmanship for a period of 90 days from date of purchase. Holley Performance Products Limited Warranty specifically DOES NOT apply to products which have been (a) modified or altered in any way; (b) subjected to adverse conditions, such as misuse, neglect, accident, improper installation or adjustment, dirt or other contaminants, water, corrosion, or faulty repair; or (c) used in other than those applications recommended by Holley Performance Products. Holley Performance products also does not warrant, and disclaims all liability for, products used in racing activities and/or applications other than those specifically recommended in the current brand catalog. 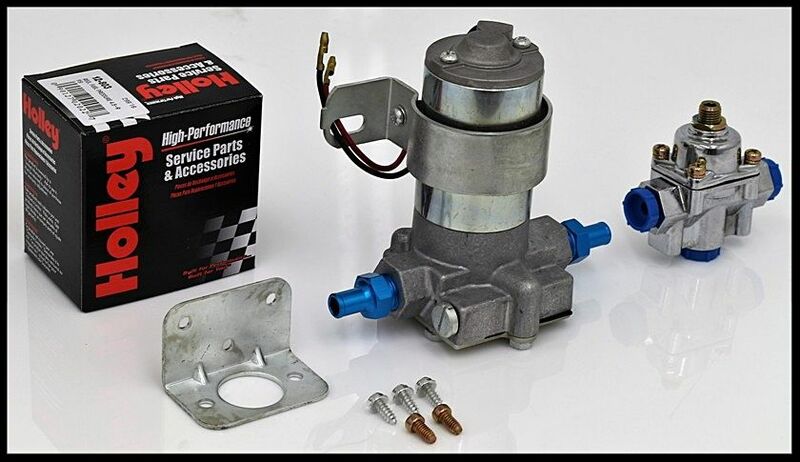 In the event of an alleged defect in material or workmanship, Holley Performance Products' responsibility is strictly limited to repair or replace the defective regulator. Holley has no other obligation expressed or implied. Final warranty determination will be in the sole discretion of Holley Performance Products. Holley shall not be responsible for; (a) actual or alleged labor, transportation, or other incidental charges; or (b) actual or alleged consequential or other damages incurred by use of any product of Holley Performance Products. TO INITIATE THE WARRANTY PROCESS, the consumer must return the alleged defective regulator to the place of purchase with a dated receipt. Warranty claims will be rejected if the date of purchase cannot be established by the consumer. Do not send regulators directly to Holley Performance Products. 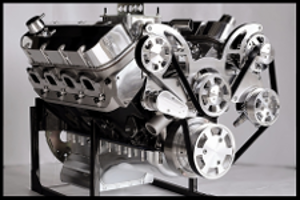 Holley Performance Products assumes no responsibility for products sent directly to Holley Performance Products.